Q has let go of his newest video in “Overtime” starring himself, Justine Skye, and Miguel. This video is the latest from his new album “Blankface LP.” This video honestly reminds me a lot of his “Man Of The Year” visual because in both videos you can find Q surrounded with the baddest and hottest girls twerking all around him at a strange place. In “Man Of The Year” it was on a deserted island and in “Overtime,” it was on a children’s community playground, and to make it even more strange, Q gets a haircut on the playground as the girls are dancing. 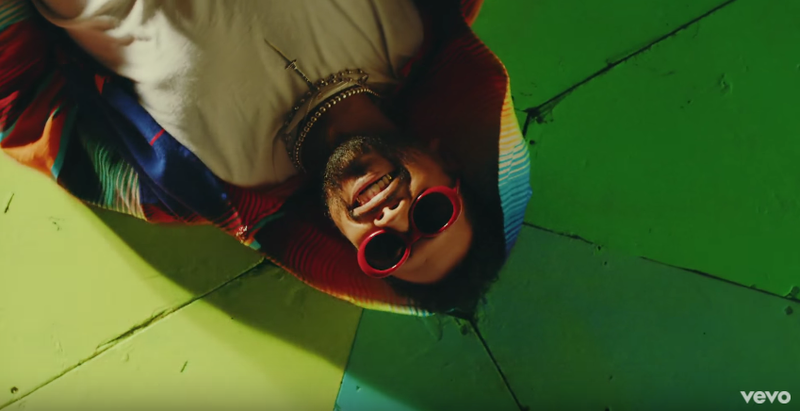 While Schoolboy is doing his thing in the video, you can find Miguel on a statue that on top of a hilltop where it looks like he is almost preaching. You’ll also see Justine Skye singing on some balloon covered land. Watch the TDE superstar’s most recent video, “Overtime” below.